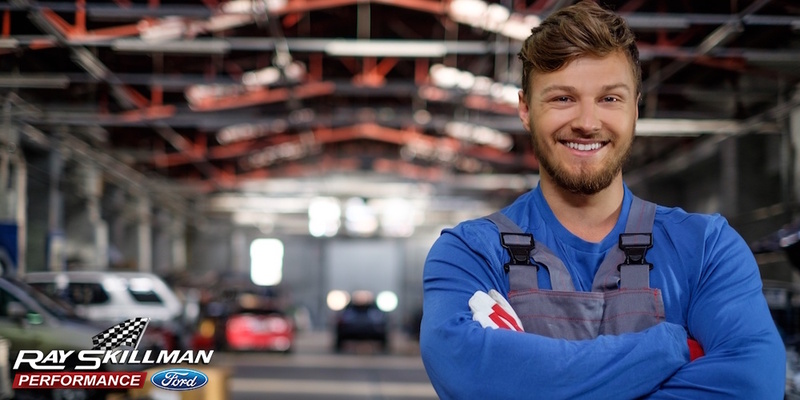 When your vehicle has been damaged, you need life to get back on track right away. The Ray Skillman Ford Collision Center is here to help. Accident? Hail Damage? No problem! At Ray Skillman Southside Collision Center we’re able to help with all of your body repair needs. Bring in your vehicle for a free estimate today! To schedule an appointment click the button below or call (317) 882-5211. You shouldn’t have to search all over town for the different services for your vehicle. At the Ray Skillman Auto Group, we are dedicated to providing a full-service dealership with a collision center. Accidents occasionally happen and when they do the Ray Skillman Collision Center is here for all of your collision repair needs. When it comes to your vehicle we use nothing but the best equipment and parts. Our state of the art facilities has the latest and greatest technology including a computerized paint mixing system as well as a BlowTherm prep station and down draft paint booth to ensure accurate color matching for all parts. We also use all Genuine OEM parts to make sure your vehicle is back to its original quality. We can work on any make, model, or year. We are dedicated to serving you and getting your vehicle back into its best condition as quickly as possible. We work with all major insurance companies and we will match any legitimate estimate in the area. Click or call anytime to schedule an estimate with us today!